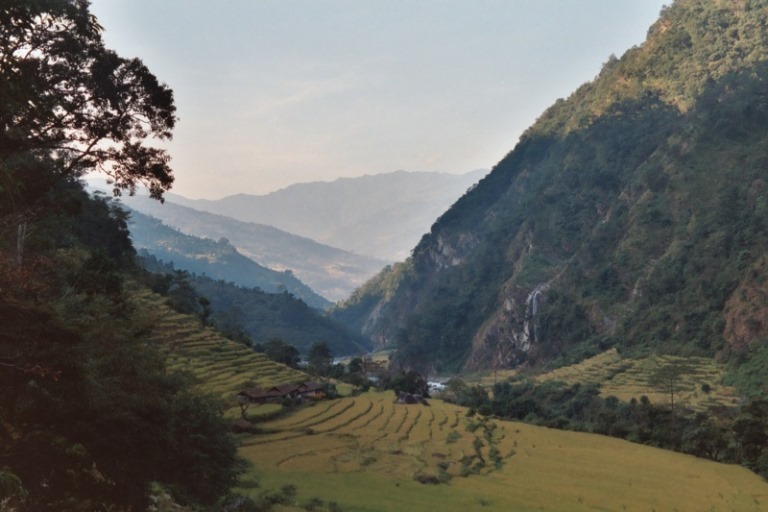 Steady ascent up long valleys, through beautiful rice terraces, then virgin forest, before emerging to outstanding mountain scenery: snowy Himalayan giants, glaciers, monstrous cliffs and deep valleys all around. 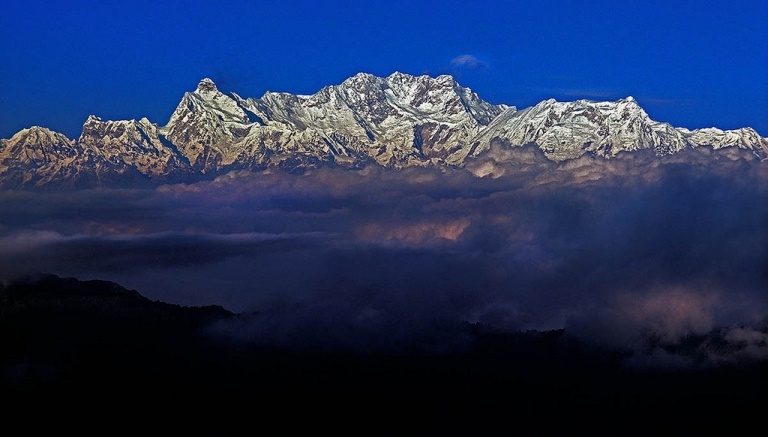 The final 3 day trek up to the Kangchenjunga base camp, surrounded by magnificent peaks, is outstanding, with the final view of the great snowy massif one of the finest to be found anywhere. 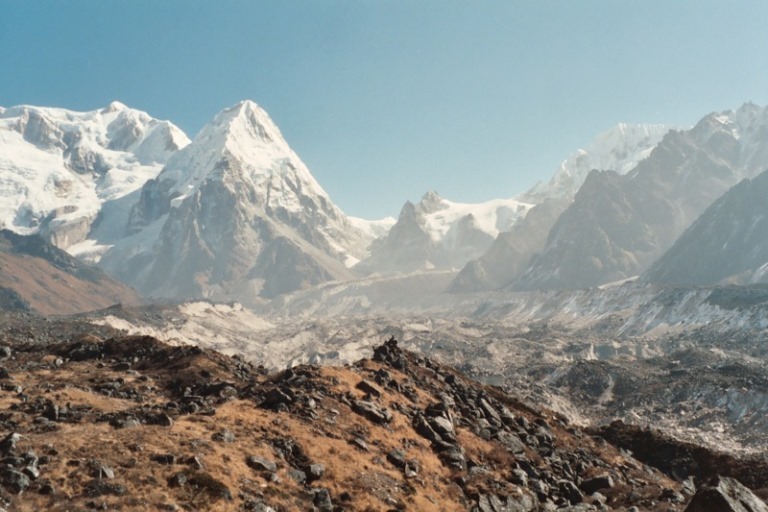 This is a high, remote and tough walk in remote mountains in which you will have to be self-sufficient: come prepared. 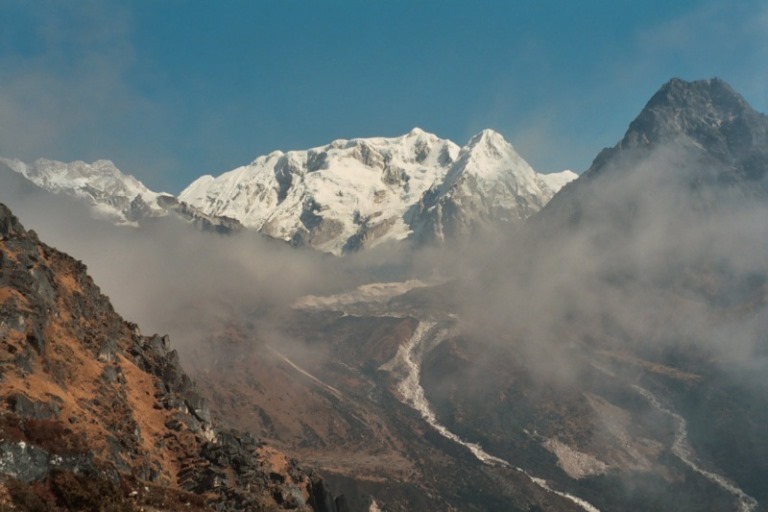 Nepal's western approaches to Kangchenjunga's North Base Camp, and the more southerly ones via the Kabeli Khola valley to Tseram make for some of the world's finest (some would claim its most beautiful) high mountain trekking, with the huge advantage of relative remoteness compared to Nepal's most popular treks. 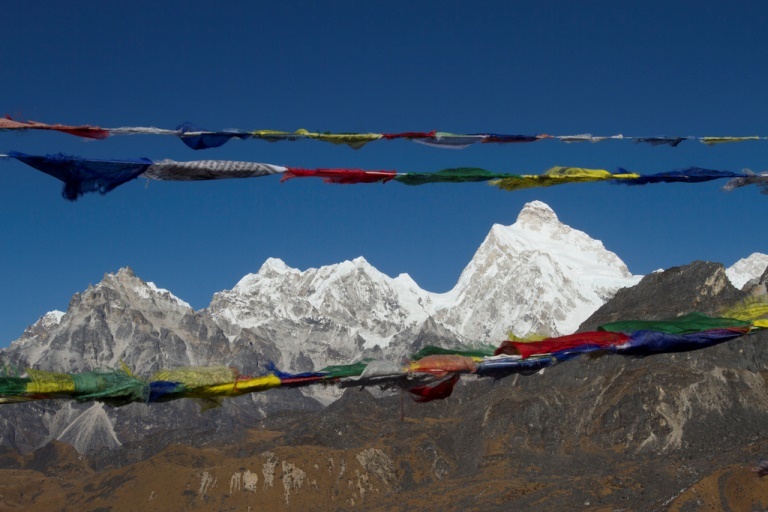 Enjoy truly incredible scenery, with lovely flora and fauna and Tibetan villages lower down. Assume 20 days (upward) walking for the round trip, starting in warm inhabited foothills before dropping into the Tamur and then Ghunsa valleys, which you follow the whole way up to the North Base Camp. It is gruelling in places, in a deep gorge with endless climbs from and drops back to the river and the travails of the increasing altitude. The transition to the Tibetan world is made, and the villages peter out at Khambachen, where the real visual fireworks begin. From here on it is a series of glorious views of snowy peaks, massive rock faces and countless glaciers. The North Base Camp (at 5,150m), with its astounding position under vast snowy peaks and glaciers, is unforgettable. 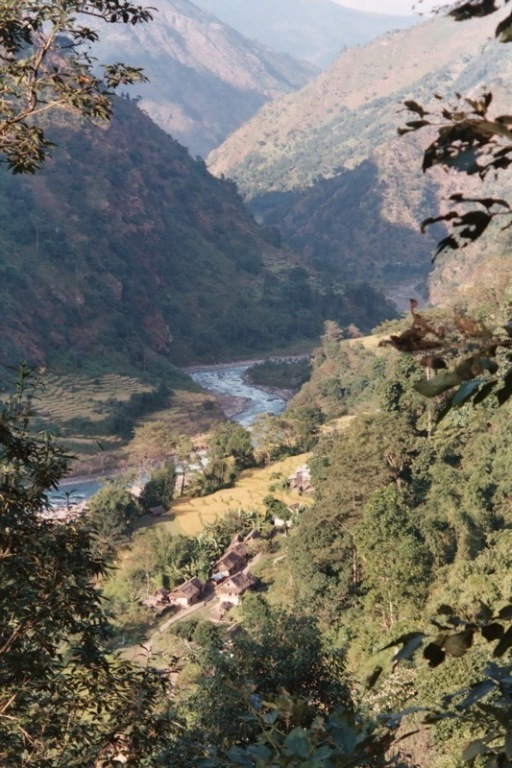 An alternative is to cross the grain of the ridges (initially through some of Nepal's most beautiful farmland, with huge rice terraces) to ascend the Kabeli and Simbua river valleys to the south east beyond Tseram, to view the great Yalung glacier and Kangchenjunga's south face and the high Singalila Ridge and then cross a high ridge via the Mirgin La at 4,570m (extraordinary panoramic views again) to Ghunsa, to follow the Ghunsa valley to North Base Camp. This is a tough proposition, but provides some astounding views. This longer route takes around 25 days. 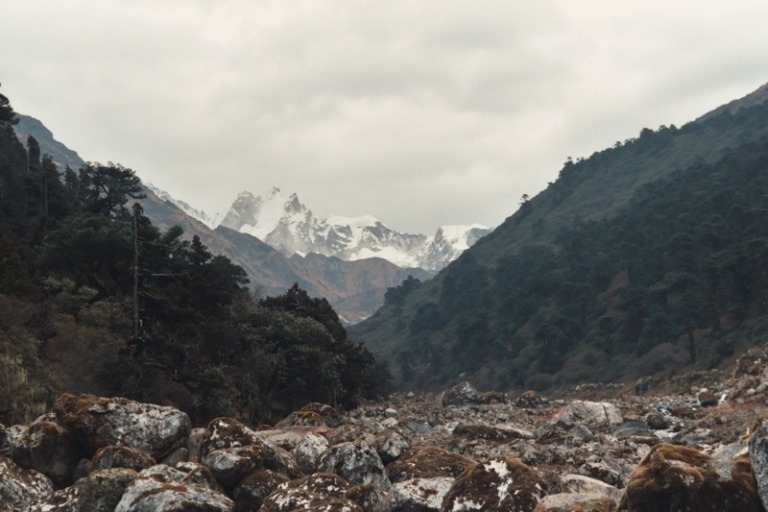 The trek to the Tseram area and back should be around 2 weeks.